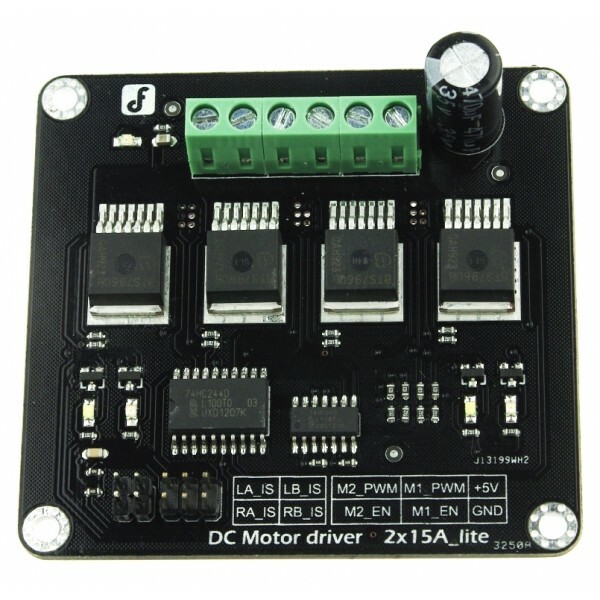 The DFRobot DC Motor Driver 2x15A Lite is a powerful driver that can get your medium sized robot rolling. As your robot building skills improve, you may find yourself building bigger and bigger robots. 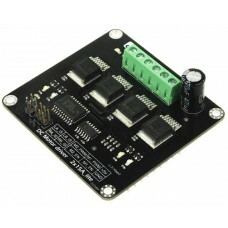 This motor driver is great for your medium sized robots. Using four industrial strength BTS7960 high current half bridge motor drivers, this board can drive two channels with up to 15 amps at 13.8 volts of power each. The 2x15A Lite has built in short circuit, overheating and over- heating protection. It supports up to 25 kHz PWM and active freewheeling. 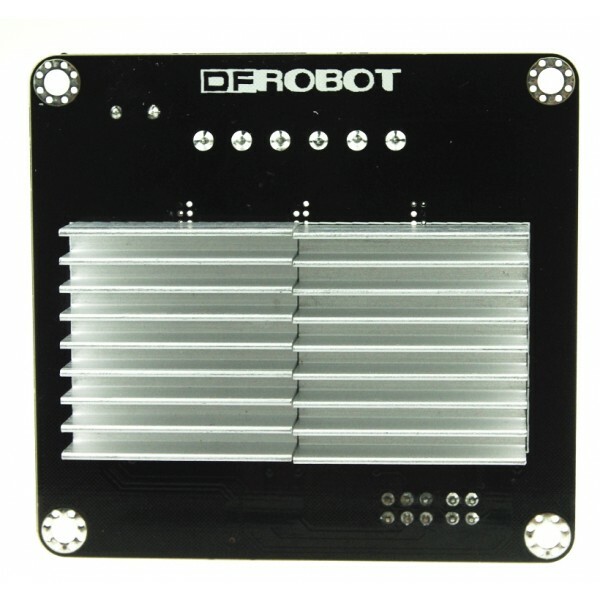 This board has two heat sinks mounted on the bottom to manage heat dissipation. Screw terminals are provided for connection to the motors and motor power supply. Each motor channel has two LED indicators help with debugging. 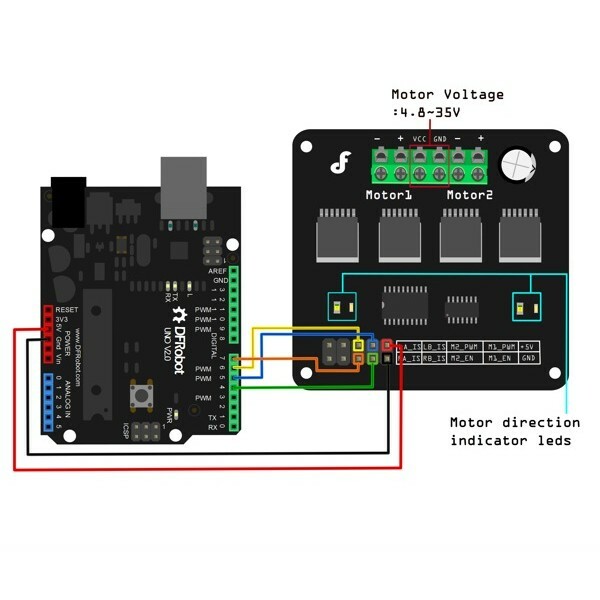 Controlling each motor only requires a few digital pins from your robot's microcontroller: one to selection the direction of rotation and another to provide PWM speed control. Each motor channel also provides two optional outputs to allow your microcontroller to detect fault conditions and sense the current as needed.